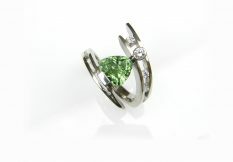 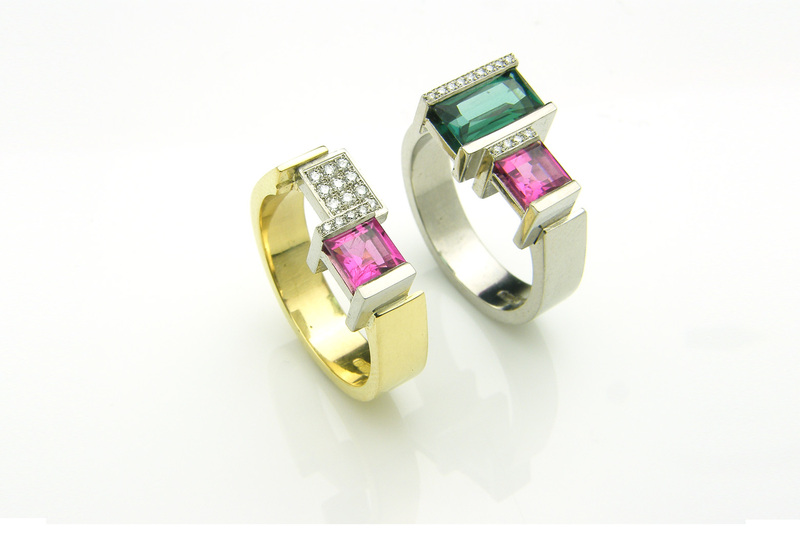 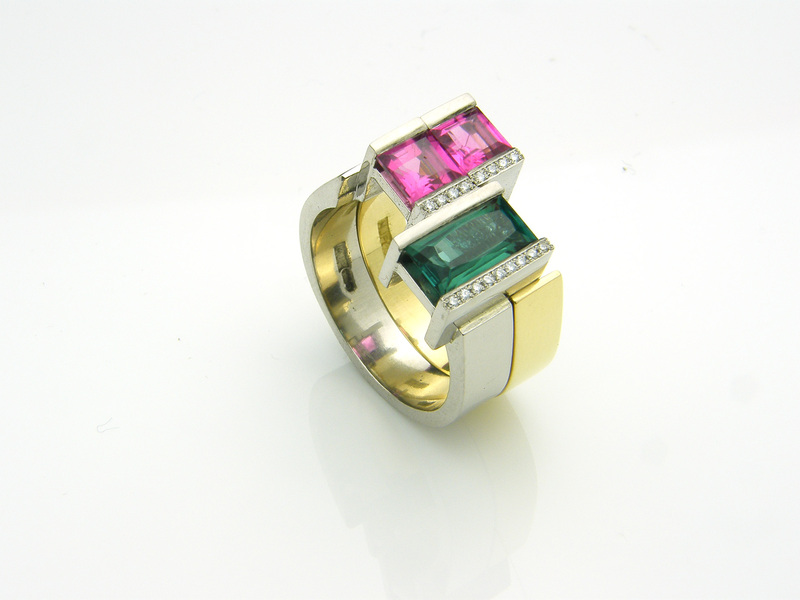 Rose pink and deep green tourmalines, with diamonds, set in palladium and 18ct yellow gold. 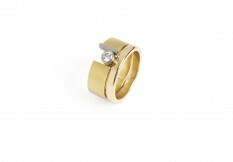 These rings are precisely engineered to interlock into different positions, giving you five ways to wear them. 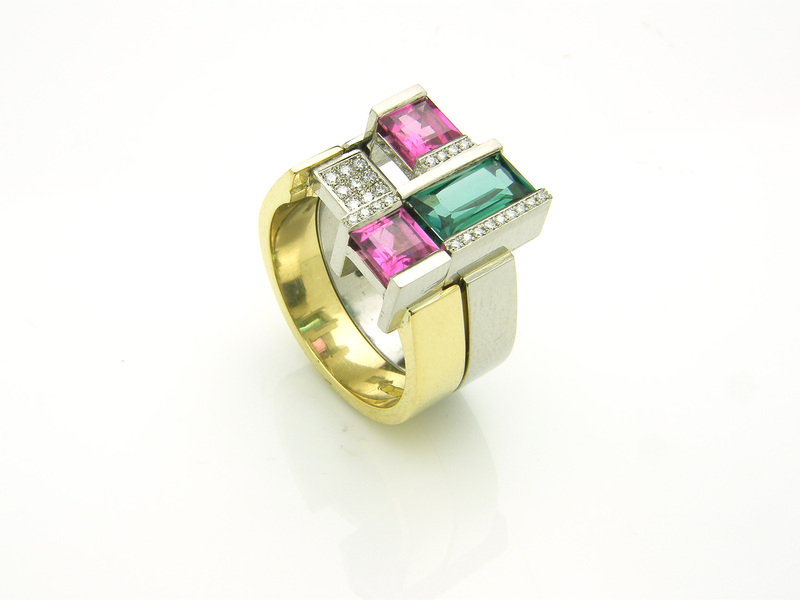 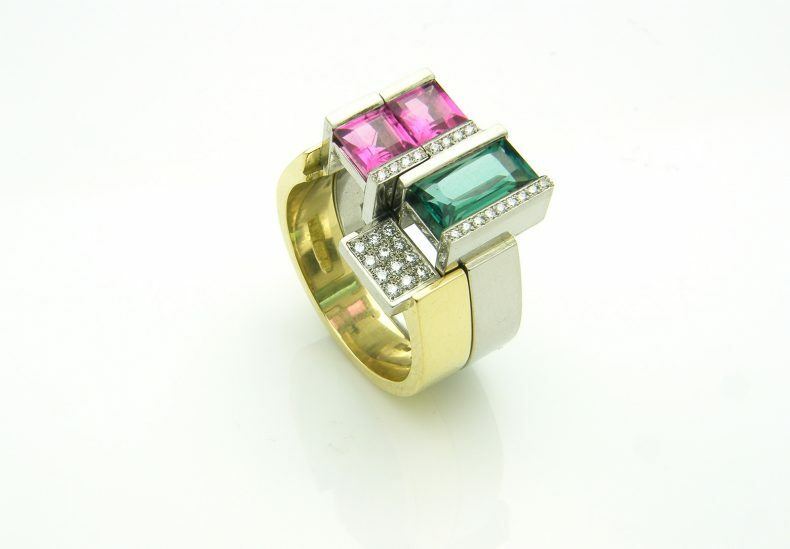 Shown here: 18ct yellow gold, palladium, green tourmaline, pink tourmaline and diamond. 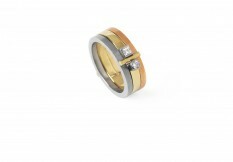 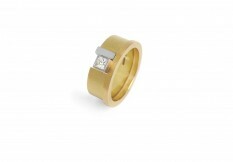 Available in: White, yellow or red gold, platinum or palladium and a range of precious stones.